We are a couple of apartment owners, spending only a few weeks a year in Chamonix, who wishes for our property not to stand empty the rest of the time. The apartments are all located close to Chamonix centre. Some are rented both for short and long periods. Prices vary depending on the period of your stay and the time of the year. Choose your apartment of interest below for more info, availability and price. 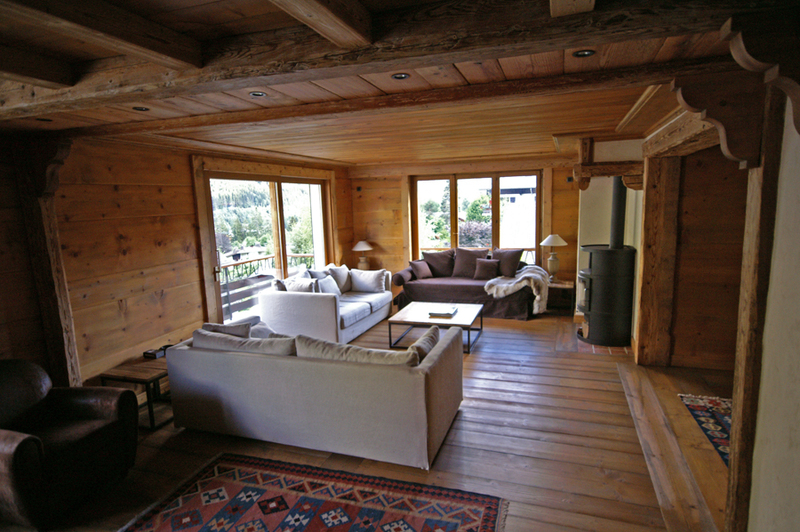 Luxury chalet-style apartments up on the Brevent hill, overlooking Chamonix town center. 50m from the Brevent cable car and 200m from town center, shopping and restaurants. For sunny days, winter or summer, there is a large south facing balcony to relax, soak up the sun and enjoy stunning views of Mont-Blanc and Aiguille du Midi. It is a stylish and spacious apartment with a wooden interior and comfortable furniture. One master bedroom, two twin bedrooms with bunk beds and two bathrooms. Fully equipped kitchen, washing machine and tumble dryer. It offers comfortable relaxing in the lounge after skiing or climbing and possibilities to have your own dinner sittings. Sleeps 6 persons. There is also an adjacent suite, on the ground floor, comparable to a double hotel room, which can be included in the booking if requested. Sleeps 2 persons. Private garage and ski-storage in the basement. Address: Resident Zodiac on 2nd floor. 269 Rue de Mollard, Chamonix. Available Periode: upon request. Price: depending on the period. This 35 square meter apartment offers 2 small separate bedrooms and a bright livingroom with kitchen, dinner table and couch. On the 5th floor, wiht only 1 nieghboring apartment, it appears quiet and isolated even though located in an apartment block in Chamonix Sud. The elevator stops on the 4th floor and the last stairs must be ascended on foot. The apartment is well maintained, fresh and clean. It has a fully equipped kitchen, including micro-wave and a laundary machine. The main bedroom is equipped with a closet and a queen-size bed. The second bedroom has a bunkbed that is slightly smaller then standard single beds, and can serve either as storage or sleeping room for smaller persons. The apartments is suitable for 1 couple and 2 kids, or 3 single persons. Seasonal rental is limited to max 3 persons. The views are towards the Brevent and les Aiguilles Rouges. Internet Wifi is available. Address: Place Edmond Desailloud, 74400 Chamonix-Mont-Blanc, France. Entrance "Balme", 5th floor. Available Periode: Sep - Dec 2018 (before Christmas): 350€ per week Dec 2018: Christmas and New Years weeks. 800€ per week. 2 Jan - 2 May 2019: 1500€ per month. May - Sep: 550€/week. A 30 square meter apartment with one separate bedroom, located in Chamonix Sud. This is in central Chamonix and 2 min away from the Aiguille du Midi cable car. The apartment is completely renovated (spring 2011), with a fully equipped kitchen, and bathroom with shower, and a balcony. The bedroom has an elevated double bed and the main room has one elevated single bed, so 3 persons (1 couple, 1 single) comfortably sleeps in the apartment. A spare madrass is also available and can be put under the large bed. Seasonal rental is limited to 3 persons. The balcony view is towards the Brevent and les Aiguilles Rouges. Internet Wifi is available. Self-service and served laundry places are 50m away. Underground parking available for one vehicle. Address: 57 Promenade Marie Paradis, 74400 Chamonix-Mont-Blanc, France. Entrance "Lognon", 1st floor. Available Periode: Sep - Dec 2017 (before Christmas): 350€ per week. Christmas and New years weeks: 690€ per week. 2 Jan - 2 May 2018: 1500€ per month. May - Sep 2018: 550€ per week. 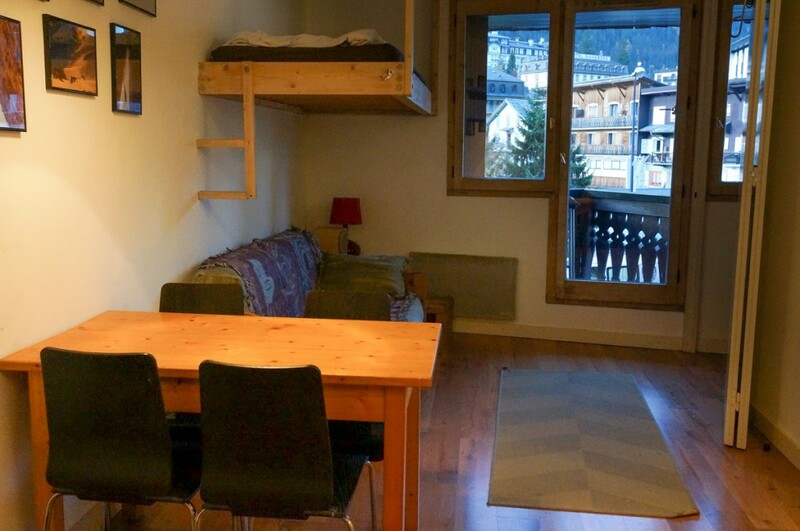 Large studio, 30 square meters, located in Chamonix Sud. This is in the town center close to bars, restaurants, shopping and 2 min from the Aiguille du Midi cable car. 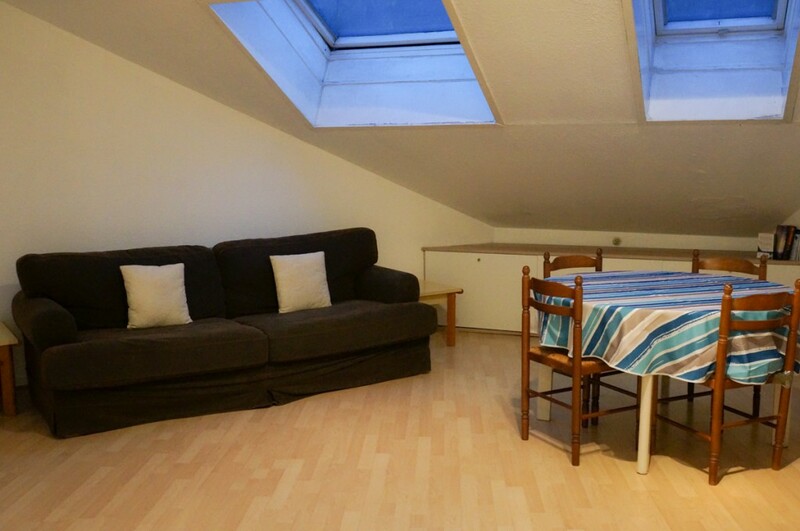 The apartment is fully equipped, including laundry machine, TV, DVD and a small balcony. It has a king size bunk bed and a comfortable couch, so if couples, 4 persons sleep well, otherwise the apartment is suitable for 2-3 persons. Summer 2017: 80€ per night + 50€ cleaning fee.